Designed to increase the rigidity of the hood, allows the hood of the Rhino to be used as either a work area or as a place to secure additional large loads. Provides under-carriage support for our hood racks (sold seperately). 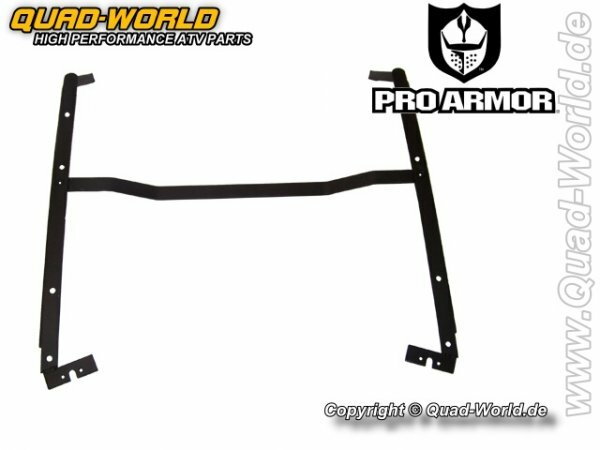 Weiterführende Links zu "Pro Armor UNDERKHOOD RACK SUPPORT FRAME für Yamaha Rhino"
Kundenbewertungen für "Pro Armor UNDERKHOOD RACK SUPPORT FRAME für Yamaha Rhino"